Nicole Beharie is moving on. Variety reports the Sleepy Hollow actress has been cast in a film reboot of Jacob’s Ladder. 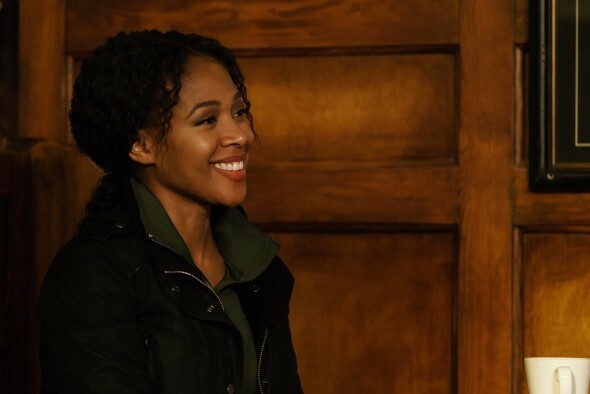 Beharie played Agent Abbie Mills on Sleepy Hollow for three seasons. [SPOILERS] Her character was killed off in the season three finale, to the shock and outrage of many fans. A 1990 horror film, Jacob’s Ladder centers on a Vietnam veteran who is haunted by bizarre flashbacks and hallucinations. The reboot will focus on two brothers. Beharie joins other cast members Michael Ealy and Jesse Williams. Jeff Buhler wrote the script. What do you think? Are you a fan of Beharie? Have you seen the film Jacob’s Ladder? Would you watch the new one? I really enjoyed the movie Jacob’s Ladder and I’m sure Nicole will be an exceptional addition to the new cast. But she and Tom seemed to have a chemistry that will be missed in future episodes. I will not watch anything she is in EVER. She destroyed a great show and hurt a lot of other actors lives and livelyhoods. This ruined her for me. Orlando Bloom said race was the reason she left, has he done a head count to see the ratio of the races on the show. I wont’t watch him either, I used to like him.